Mubadala’s units invest and operate in specific areas that are integral to the diversification of Abu Dhabi. Our units are made up of sector experts who, in partnership with our functional units, manage investments and assets throughout the lifecycle. Here’s what to expect throughout the recruitment process – from the first recruiter call to your first day! Mubadala’s Aerospace and Defense Services (A&DS) business unit is comprised of both local and international operating assets. In the aerospace sector, assets are active in aerostructures manufacturing, engine and component financing, and maintenance, repair and overhaul (MRO) services; in the defense services space, assets provide integrated through-life support solutions for the UAE Armed Forces. Our overarching goals include gaining market share as a global aerospace supplier, building a portfolio based on partnerships with industry leaders, and providing world-class services for the UAE Armed Forces. The combined A&DS portfolio continues to evolve, achieving its vision based on partnerships with industry leaders and through targeted investments. Through the ICT business unit, Mubadala is investing in a portfolio of top-tier ICT assets with the aim of establishing industry-leading capabilities and facilities in the regional market, as well as providing high-value employment opportunities. With capabilities in satellite operations, telecommunications, data storage and information security, our ICT businesses focus on sectors of the industry that are capital and technology intensive, and support the creation of state-of-the-art ICT infrastructure in the UAE and in other parts of the world. Mubadala Capital serves as the primary vehicle for the company’s financial investing activities and its objective is to build a research-driven global alternative asset and investment management platform. Our investment strategy is based on value investing principles: the company invests throughout the capital structure in a diversified portfolio of global public and private securities by capitalizing on market dislocations. This approach is focused on the creation of long-term wealth and is biased towards capital preservation. Healthcare is playing an instrumental role in the creation of a thriving private healthcare sector for the Emirate of Abu Dhabi. We are actively investing to develop comprehensive healthcare infrastructure and specialized services, establishing partnerships with renowned international medical institutions to deliver world-class healthcare facilities and services to the people of Abu Dhabi and the UAE. Our investments are contributing to the development of sustainable and innovative healthcare infrastructure that improves the value and quality of healthcare in the UAE. The overarching aim is to generate lasting socioeconomic returns and help foster the next generation of Emirati healthcare professionals for the nation. Mubadala Industry is committed to the creation of world-scale businesses in the metals and mining sectors. One specific emphasis is on the creation of a cluster of businesses in Abu Dhabi based on the aluminium value chain. These are complementary to the activities of Emirates Global Aluminium, the world’s fifth largest aluminium company. We are also active in Abu Dhabi and internationally in the utilities sector, with investments in power, water and district cooling. Mubadala's Real Estate & Infrastructure unit develops strategic commercial, residential and leisure districts that are central to Abu Dhabi's long-term development plans. We work to international standards of quality, functionality and sustainability. A number of our local hospitality sector projects are attracting premium hotel and leisure operators, which are vital to Abu Dhabi’s growing luxury tourism industry. These major projects are part of the government’s comprehensive strategy to develop the capital in line with world-class standards of environmental, social and economic sustainability. Mubadala Technology is changing the shape of the global semiconductor industry while driving innovation. Mubadala wholly owns GLOBALFOUNDRIES, the world's second largest semiconductor foundry company with more than 13,000 employees spanning three continents, and over 160 customers including 14 of the top 20 semiconductor companies. Enterprise Technology & Services (ETS) provides the Mubadala Group with a range of technology services. We operate across three functional areas: Application Development, Infrastructure and Security and the Technology Management Office, each responsible for delivering different technology services to support and enable business objectives. Group Communications provides support across the Mubadala Group to build and protect our brand, enable targeted engagement with key audiences, and support our portfolio companies. Group Finance delivers significant value across Mubadala by offering a financial reporting and performance management capability for timely, quality reports and financial plans. We focus on catering to the financial information requirements of the business and on building a high performance team. We also work to further strengthen our internal processes and procedures to drive efficiency and to embed best financial practice in all areas of the business. Business Services is a core unit that provides central support to the Group as a whole. It encompasses Group Procurement and Facility Management & Office Support. Group Procurement is a strategic function that defines policy and implements best practice to enable effective purchasing of goods and services within Mubadala. The Facility Management & Office Support team provides a range of essential business support services and delivers a premium office environment for employees across the Group. Internal Audit helps Mubadala ensure it is managing its risks as effectively and efficiently as possible. We work collaboratively with partners and trusted advisors for the business by delivering audits and advisory reviews as well as by supporting on Audit, Risk and Compliance Committees across the portfolio. Group Taxation is involved in transactions at the very earliest stage and is considered a critical part of Mubadala’s multi-disciplinary transaction teams. The team is included in the full life cycle of all Mubadala’s overseas assets (whether public, private or fund investments) including cross-border acquisitions, financings and structural reorganizations. We work alongside all of Mubadala’s business units and most of its corporate units, most frequently with the Mergers & Acquisition, Legal and Structured Finance and Capital Markets teams. Corporate Finance & Treasury oversees Mubadala’s Treasury, Structured Finance & Capital Markets and Mergers & Acquisitions practices, optimizing capital structures for Mubadala corporate and the wider Group and managing key mergers and acquisitions projects. The Legal & Compliance unit is responsible for all aspects of legal, regulatory, compliance and governance matters across Mubadala. By working closely with all units, we protect and promote the best interests of the company by identifying and managing risks affecting Mubadala, its assets and its investments. We also engage with them at the outset of all projects and transactions. Another key role we play is to establish and lead the compliance function, ensuring integrity is at the core of, and underpins, the Mubadala values in every aspect of our business. This involves implementing best practice compliance processes and providing ongoing training for employees. Our programs aim to support every individual to be successful in their current role, and to connect with exciting and challenging opportunities for career development and personal growth. 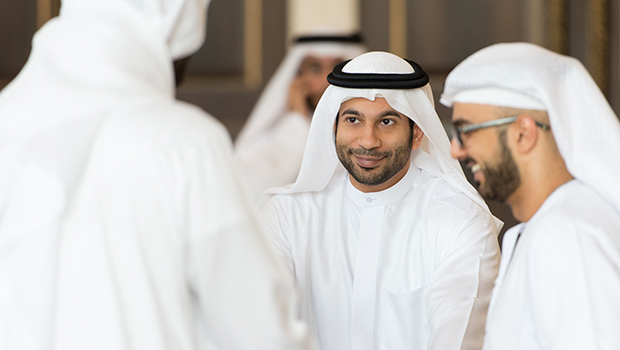 We also actively support Emiratization and diversity through our grow@mubadala programs – a supportive and structured approach to identifying and developing high potential talent, succession planning, career development planning, and leadership coaching and training. Group Strategy's mission is to design the corporate strategy and facilitate its alignment with business unit strategies. By working closely with business units as they formulate and execute their strategic plans, we contribute to the achievement of Mubadala's short and long-term goals. Group Strategy also provides vital intelligence to the company by producing and sharing macroeconomic intelligence reports, and helps to develop and enhance key strategic relationships in support of business requirements. Copyright 2019 © Mubadala Investment Company.